Leo moonsun multiple shop is new responsive Prestashop beautifully design template. A bright and classic background makes items in store stand-out and attractive to visitors. Wonderful products were neatly and subtly arranged.By the side of an active slideshow is space for promotions and attractive banners with hot trend or the newest collection which are absolutely customer’s favorite part of shopping. This great theme is powered with Leo Framework, one of the best Prestashop framework. 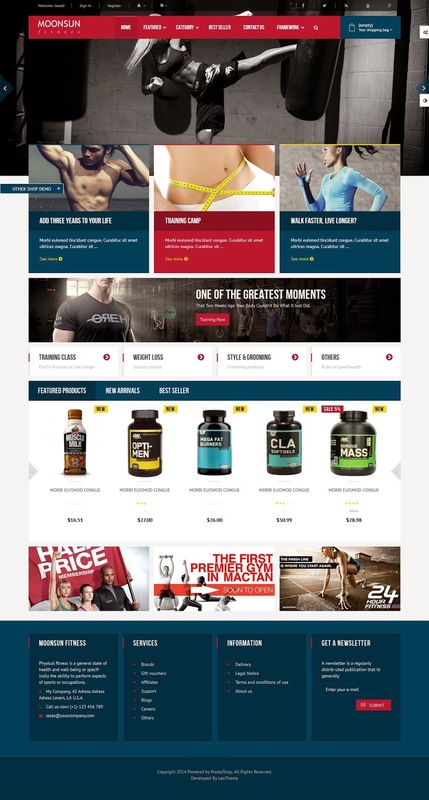 It is responsive and supports both CSS3 and HTML5 that help to create refined web pages with semantic accuracy Trendy Mega Menu, Theme Editor, One Step Add to Cart and more other powerful modules are also featured in Leo Theme to make sure users have everything they need to successful run an online store. Item Reviewed: Leo Moonsun Multiple Shop Prestashop Template 2015 9 out of 10 based on 10 ratings. 9 user reviews.